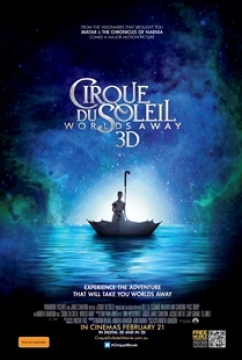 Cirque Du Soleil Worlds Away is an interesting film that showcases the amazing talents of Cirque Du Soleil and although it doesn't beat a live experience, the 3D does help with the immersion factor. The film is written, directed and produced by Andrew Adamson (Shrek) with the executive producer being James Cameron (Avatar), hence the strong use of 3D. 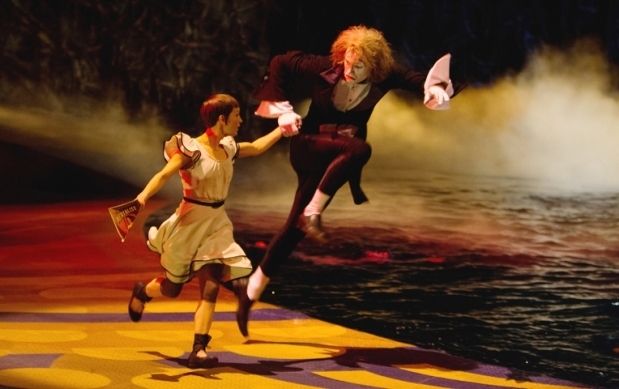 The scenes from the film are collected from the various Cirque Du Soleil shows from Las Vegas that are stringed together into a magical experience. There is actually a story and Worlds Away begins with the film introducing Mia (Erica Linz), a young woman who is visiting an old circus carnival. Mia is given a flyer from an old clown at the carnival with 'The Aerialist' (Igor Zaripov) as the star billing in the big top. 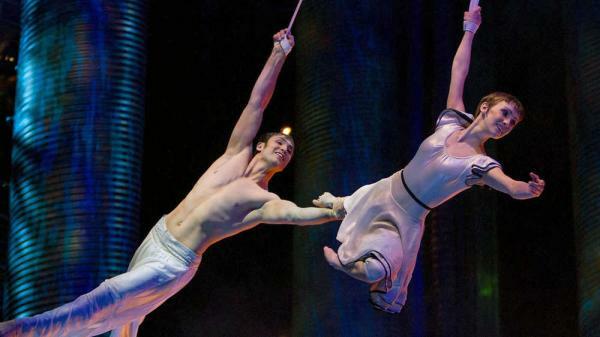 Intrigued, Mia decides to attend his show but his act goes horribly wrong with the Aerialist falling into quick sand. Mia attends his aid but is also drawn into the sand and awakens in a strange fantasy land filled with acrobats, clowns and a battle between two factions. The Aerialist is captured by one of these factions and Mia journeys through the various stages of Cirque Du Soleil, looking for him. From here the viewer is treated to some wondrous stunts, elaborate costume designs and amazing environments thanks to the cast and crew of Cirque Du Soleil. Joining Mia in her search is a dark clown and a gumboot riding tricycle who help reunite her with the Aerialist. Add in the music of The Beatles (brilliant) and Elvis and the end result is like being part of some surreal adventure that include an Octopus' Garden, Super Heroes and an elaborate battle on a 90 degree wall. 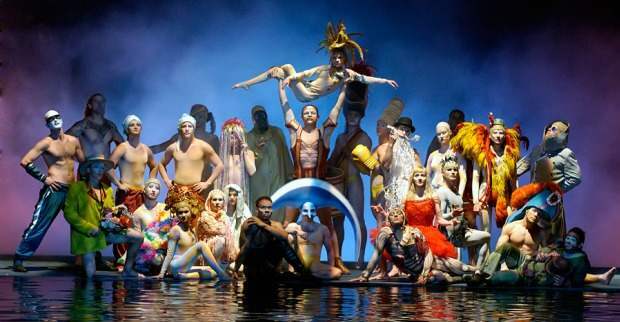 In conclusion, Cirque Du Soleil Worlds Away highlights the amazing skills, talents and extraordinary choreography of the members of Cirque Du Soleil that will leave you craving more that is enhanced by the 3D visual effect, creating a truly surreal and magical experience.